Pret is open in Winchester! Home / News / Pret is open in Winchester! 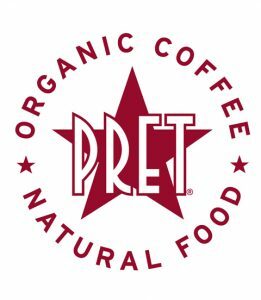 Pret creates handmade, natural food fresh every day in their Winchester shop’s kitchen. Their delicious menu includes sandwiches, salads, wraps, baguettes and hot food and barista prepared organic teas and coffees. Pop in to Pret and say hello to the lovely team at 25 High Street!